The theory of evolution was first proposed based on visual observations of animals and plants. Then, in the latter half of the 19th century, the invention of the modern optical microscope helped scientists begin to systematically explore the vast world of previously invisible organisms, dubbed “microbes” by the late, great Louis Pasteur, and led to a rethinking of the classification of living things. In the mid-1970s, based on the analysis of the ribosomal genes of these organisms, Carl Woese and others proposed a classification that divided living organisms into three domains: eukaryotes, bacteria, and archaea. (See “Discovering Archaea, 1977,” The Scientist, March 2014) Even though viruses were by that time visible using electron microscopes, they were left off the tree of life because they did not possess the ribosomal genes typically used in phylogenetic analyses. And viruses are still largely considered to be nonliving biomolecules—a characterization spurred, in part, by the work of 1946 Nobel laureate Wendell Meredith Stanley, who in 1935 succeeded in crystallizing the tobacco mosaic virus. 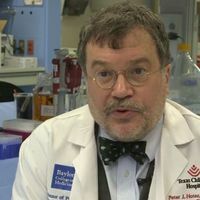 Even after crystallization, the virus maintained its biological properties, such as its ability to infect cells, suggesting to Stanley that the virus could not be truly alive. 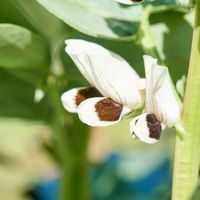 With the advent of whole-genome sequencing, researchers are beginning to realize that most organisms are in fact chimeras containing genes from many different sources—eukaryotic, prokary­otic, and viral alike. Now, with the advent of whole-genome sequencing, researchers are beginning to realize that most organisms are in fact chimeras containing genes from many different sources—eukaryotic, prokaryotic, and viral alike—leading us to rethink evolution, especially the extent of gene flow between the visible and microscopic worlds. Genomic analysis has, for example, suggested that eukaryotes are the result of ancient interactions between bacteria and archaea. In this context, viruses are becoming more widely recognized as shuttles of genetic material, with metagenomic studies suggesting that the billions of viruses on Earth harbor more genetic information than the rest of the living world combined. (See “Going Viral,” The Scientist, September 2013.) These studies point to viruses being at least as critical in the evolution of life as all the other organisms on Earth. Given the size of newly discovered giant viruses, perhaps it should come as no surprise that we have even identified parasitic viruses that infect giant viruses.1 We found the first one—dubbed Sputnik by my colleague Bernard La Scola of Centre National de la Recherche Scientifique (CNRS) in France—serendipitously in 2006 when examining a new strain of Mimivirus, named Mamavirus, using transmission electron microscopy. In those images, we saw a small virus infecting the giant virus. 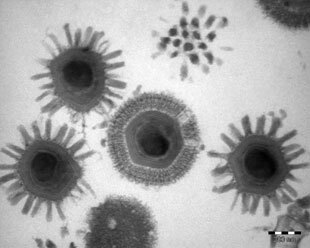 I named these new virus-infecting viruses virophages, echoing the term bacteriophages, which is used to describe viruses that infect bacteria. Sputnik replicates using the viral factory that Mamavirus creates within its amoeba host. An analysis of Sputnik’s 18-kilobase genome showed that, like its viral host, it also takes genes from different hosts. Other researchers have since found virophages in the giant virus known as the Cafeteria roenbergensis virus (CroV) and the alga-infecting large DNA viruses called phycodnaviruses. The presence of virophages in these viruses appears to inhibit the growth of the giant virus, which would otherwise kill the host cell. Parallel examples are seen in the bacteriophages, with those viruses often mediating the effects of bacterial parasites on eukaryotic hosts. Thus, like other viruses, virophages may play a critical role in interspecies dynamics and entire ecosystems. And virophages aren’t the giant viruses’ only parasites. We also discovered a parasitic element that I named the transpoviron.2 Equivalent to transposons—the selfish jumping genes observed in bacteria—the transpoviron also multiplies into millions of copies in the viral factory created by giant viruses. This transpoviron can jump into the genome of the virophage or of the giant virus to be reproduced within the amoeba host. These gene-shuffling parasites make giant viruses a hotbed of diversity. 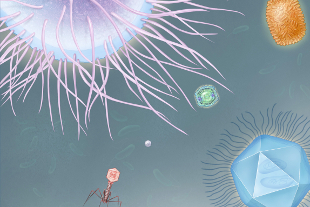 Virophages, the transpoviron, and previously identified self-splicing introns have appropriately been named the “mobilome” of giant viruses and are critical for transferring genes among viruses. B. La Scola et al., “The virophage as a unique parasite of the giant mimivirus,” Nature, 455:100-04, 2008. C. Desnues et al., “Provirophages and transpovirons as the diverse mobilome of giant viruses,” PNAS, 109:18078-83, 2012. Despite the fact that viruses use the same genetic code as verifiably living things, science long classified them as mere collections of biomolecules. And because scientists assumed that viruses had both an upper size limit of just 0.2 μm and a parasitic nature, they classified them in a not-quite-biological world of their own. Resarchers had first noticed Mimivirus in 1992, but based on its appearance under light microscopy it had been considered an intracellular bacterium for several years. Transmission electron microscopy images depicting its ultrastructure, along with the determination of its genome sequence in 2004,3 however, confirmed that it was, in fact, part of the viral world. Mimivirus has no ribosomal genes, but its genome contains more than 1,200 genes—three times more than any virus known at the time. Its genome is larger than that of many bacteria and archaea and comparable to some eukaryotic genomes. 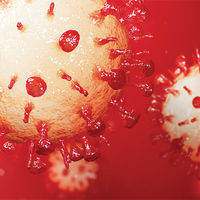 Mimivirus was no ordinary virus. Since this initial discovery, scientists have isolated a number of other giant viruses from hosts such as algae, flagellates, and other amoebae. Genes identified in metagenomic studies hint at the presence of such giant viruses all over the world. Researchers are now searching in earnest for new giant viruses, and numerous groups are scouring myriad environments for more clues about this new viral form. In our laboratory alone, we have found more than 50 different types of giant virus belonging to two new viral families: Mimiviridae and Marseilleviridae. Analyzing the genomes of these viruses, we realized that they are chimeras—in other words, these giant viruses exchange genetic material with their hosts and with other parasites that share the same hosts. The viruses also share several genes with large DNA viruses, a class of viruses too small to be viewed under an optical microscope. Large DNA virus genomes range from 50 to 200 kilobases and have similar architecture: a variable region comprises genes from other organisms, and a more stable region is unique to the viruses. This genome architecture is largely shared by the giant viruses known to science, prompting the field to classify them as a new order, Megavirales, and place them as a sister group to large DNA viruses in the viral tree.5 Extreme diversity in the genomic variable regions favors the hypothesis that these virus lineages are as old as those of other microbes on Earth. A fourth branch of life? 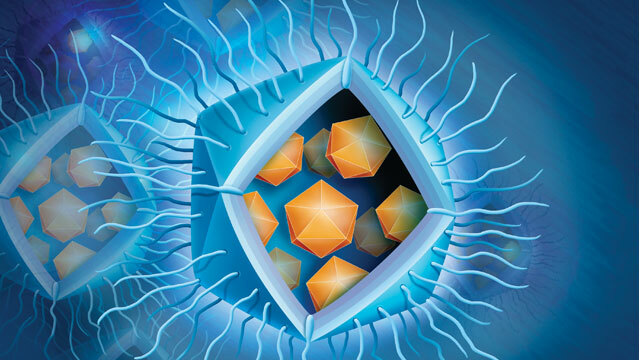 SIZING UP VIRUSES: Newly discovered giant viruses, with dimensions and genome sizes that dwarf most other viruses, are challenging scientists’ understanding of these ubiquitous pathogens. By incorporating giant viruses into phylogenetic trees, we are now able to begin understanding their role in the evolution of life. Some giant virus genes are highly similar to each other, and to those of other microbe groups, suggesting these genes—and giant viruses—have an ancient origin. Some researchers, such as Patrick Forterre of Paris?Sud University and the Institut Pasteur in France, believe that giant viruses are the origin of the eukaryotic nucleus;8 the previously established theory of viral eukaryogenesis posits that large DNA viruses played this role. Forterre and others even speculate that DNA was “invented” by viruses, helping to convert a world of RNA-based organisms to one where DNA became the pervasive unit of heredity. In part due to its catalytic potential, RNA is hypothesized to have been the molecular basis of first life on Earth. (See “RNA World 2.0,” The Scientist, March 2014.) Forterre argues that early RNA cells and ancient RNA viruses, perhaps derived from these early cells, coexisted at that time and that early RNA cells were likely to have been parasitized by these viruses. Evolving a genome of DNA could have guarded these viruses against attacks from their hosts, which may have begun to evolve RNA-specific defenses to protect themselves against viral infection. Then, as viruses borrowed and returned the genetic material of their hosts, they would have shared DNA genes, which are more stable and would have therefore been favored by natural selection. Didier Raoult is director of the Research Unit on Infectious and Emerging Tropical Diseases at Aix-Marseille University, France. He has also served as the counsellor of the French Ministry of Health for Infectious Diseases and Bioterrorism, and he led French National Reference Center for Rickettsial diseases and a WHO reference center for arthropod-borne bacterial diseases. The role of these viruses in human health and disease is now an important question facing the field of virology. In our lab, a technician working with Mimivirus came down with pneumonia, and after testing his own serum for Mimivirus antibodies, he came into my office and told me he believed he got sick from his contact with the giant virus.3 Indeed, antibodies against Mimivirus have been reported in other cases of pneumonia.4,5 Additionally, a strain of Mimivirus was isolated from the lung of a pneumonia patient, though the virus’s causative role remains to be confirmed. Meanwhile, however, Marseillevirus has been identified as the culprit in a case of one young child’s adenitis, an infection of lymph nodes. Following surgery to remove an 11-month-old boy’s enlarged lymph node, it was analyzed to rule out cancer and identify any pathogens. Only Marseillevirus DNA was detected in the node, and the child had antibodies to the giant virus in his blood. It remains unclear, however, how commonly giant viruses cause acute illness. In addition to being entirely overlooked until recently, the viruses harbor so much gene variability that they can be difficult to detect via PCR. Further investigation is needed to determine the incidence and importance of giant viruses for public health. A. Reyes et al., “Viruses in the faecal microbiota of monozygotic twins and their mothers,” Nature, 466:334-38, 2010. N. Popgeorgiev et al., “Giant Blood Marseillevirus recovered from asymptomatic blood donors,” J Infect Dis, doi: 10.1093/infdis/jit292, 2013. D. Raoult et al., “Laboratory infection of a technician by Mimivirus,” Ann Intern Med, 144:702-03, 2006. B. La Scola et al., “Mimivirus in pneumonia patients,” Emerg Infect Dis, 11:449-52, 2005. H. Saadi et al., “First isolation of Mimivirus in a patient with pneumonia,” Clin Infect Dis, 57:e127-e134, 2013. B. La Scola et al., “A giant virus in amoebae,” Science, 299:2033, 2003. N. Philippe et al., “Pandoraviruses: Amoeba viruses with genomes up to 2.5 Mb reaching that of parasitic eukaryotes,” Science, 341:281-86, 2013. D. Raoult et al., “The 1.2-megabase genome sequence of Mimivirus,” Science, 306:1344-50, 2004. M. Suzan-Monti et al., “Ultrastructural characterization of the giant volcano-like virus factory of Acanthamoeba polyphaga Mimivirus,” PLOS ONE, 2:e328, 2007. 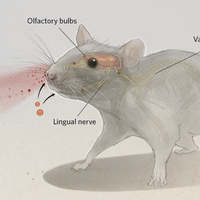 P. Colson et al., “Evidence of megavirome in humans,” J Clin Virol, 57:191-200, 2013. D. Raoult, “TRUC or the need for a new microbial classification,” Intervirology, 56:349-53, 2013. P. Forterre, “Giant viruses: conflicts in revisiting the virus concept,” Intervirology, 53:362-78, 2010.